Emerald Cove Resort is located on the California side of the Colorado River, also known as the Parker Strip across from Parker, AZ. One of the largest Arizona RV parks there is , Emerald Cove boasts over 800 full hook-up RV campsites. Many of Emerald Cove’s RV sites overlook the private white sandy beaches of the Colorado River. The resort offers a bountiful list of water activities for children and families. A triple-wide boat launch ensures easy access to the river. Watercraft rentals are close by for families who wish to spend the day on the water and make family memories that will last a lifetime. At Emerald Cove Resort, your family will find two large covered swimming pools and a children’s wading pool and jacuzzis. Apart from water sports, there are scheduled events in our clubhouse, a country store, and nearby golf courses and casinos. Our facilities are clean and inviting, including a tiki bar and grill, showers and laundry for your convenience to assure a relaxing experience. The River Rats Kids Club is the place to drop off your kids and grandkids for a day of fun with supervised activities! The resort’s secure, home-like atmosphere and variety of activities including golfing, boating, fishing, and other water sports is the ideal destination for an active vacation. 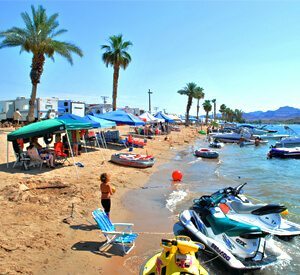 Emerald Cove Resort is just a short drive to Lake Havasu City, with its world famous Olde English Village- site of the London Bridge. Parker Dam, the world’s deepest dam, is only five minutes away. When you visit Emerald Cove Resort, you receive the benefit of seasonal festivities. Just 30 miles from Emerald Cove Resort, consider a trip to Quartzsite in January and February with major gem, fossil and mineral displays, as well as an open-air flea market sure to amaze every visitor. 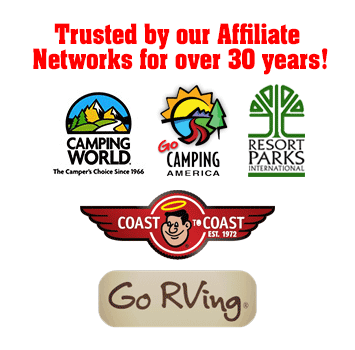 Book your RV stay today! 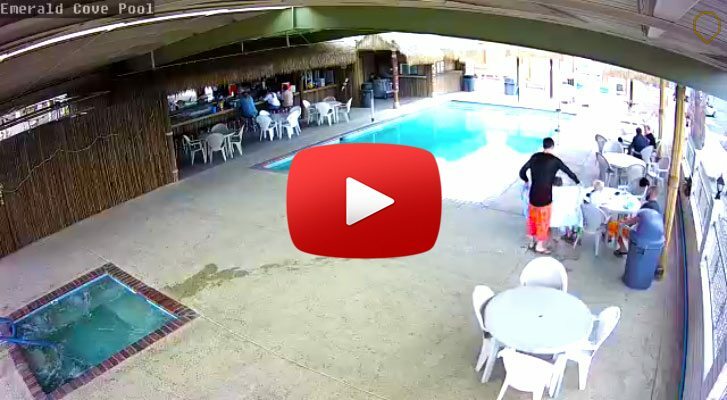 Check out our Pool Live Web Cam! Check out our Beach Live Web Cam!